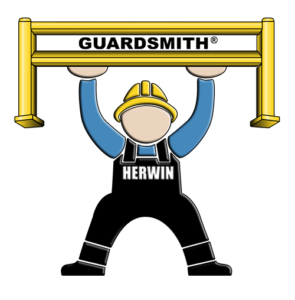 from Herwin. Rated at 10,000 lb. breakthrough at 4 MPH. 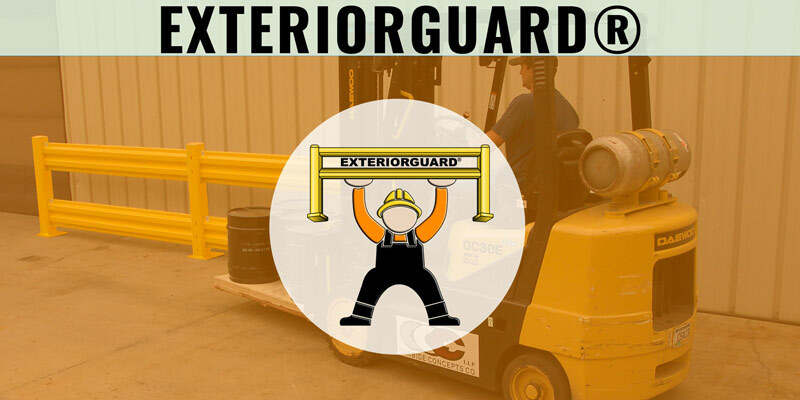 guardrail is spaced to prevent forklift damage. storage, and walkways even in harsh outdoor environments. Rated at 10,000 lb. breakthrough at 4 MPH. 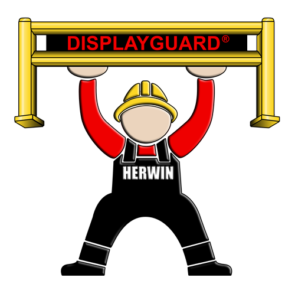 Planning a guardrail system for your warehouse can be complicated, contact the experts at Herwin, Inc. today. 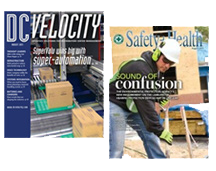 Learn more about the safety products that we offer, by viewing our Product Literature PDF. 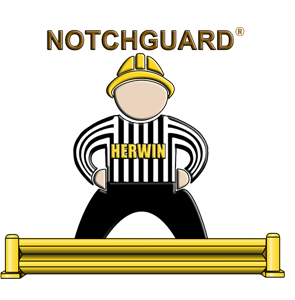 At Herwin, we make it easy for architects and specifiers to plan new guardrail installations using our Engineering Product Specifications. 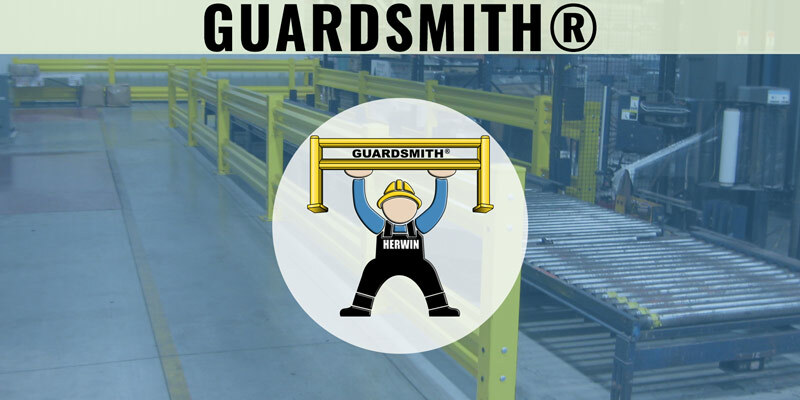 All Guardsmith® guardrail components are designed in accordance with NBC, AISC and CSA standards listed in §13145.3, and we’ve made technical data sheets available for your convenience. 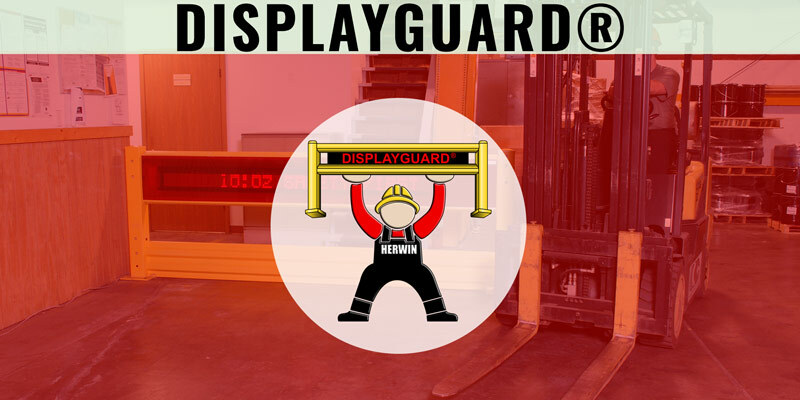 Best of all, our systems are designed to meet or exceed a rating of 10,000 lb. at 4 mph breakthrough when installed in proper concrete depth. 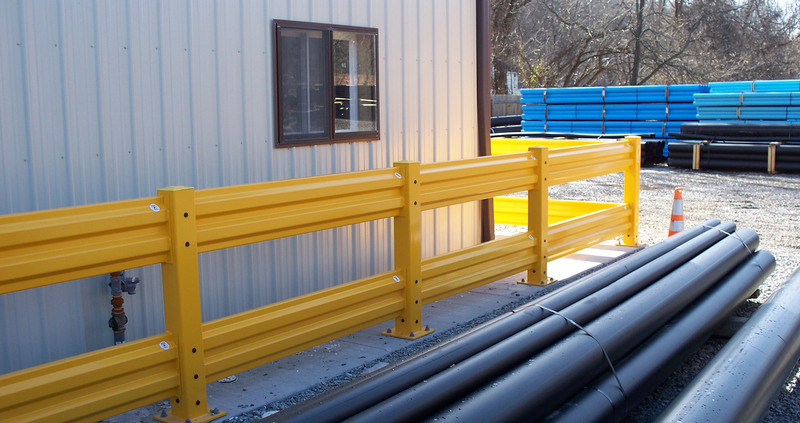 Visit our Engineering Products Specifications page for more information, or call us today at 1-800-868-5438 in US and Canada or International 1-724-446-2000. 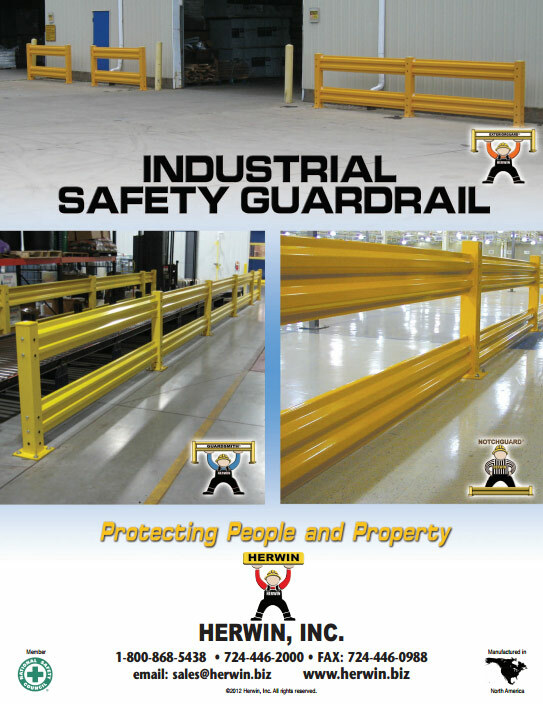 Guardrail products that help improve the safety of your manufacturing plant or commercial facility. 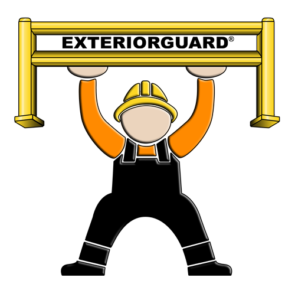 Interior and Exterior Industrial Safety Rail. 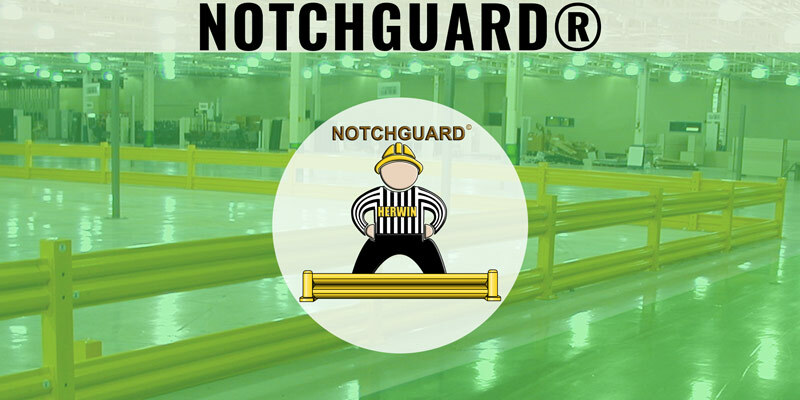 Our powder-coated yellow guardrails provide a powerful visual and physical barrier that helps you protect your people, your equipment, your building, and your product. Due to the recent increase in raw materials and fuel costs; all prices are subject to change. All pricing will be confirmed at time of shipment.